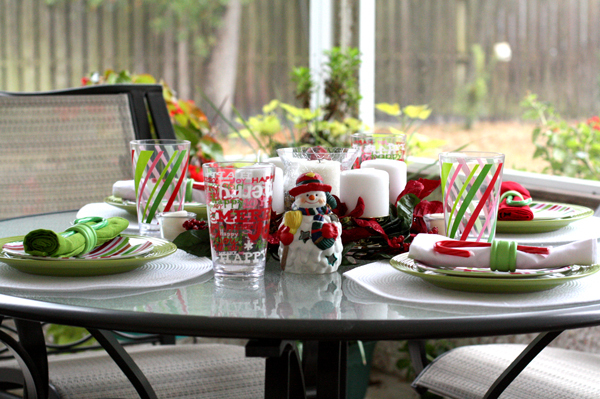 I love setting a cheery table outside as much as I do setting one inside. 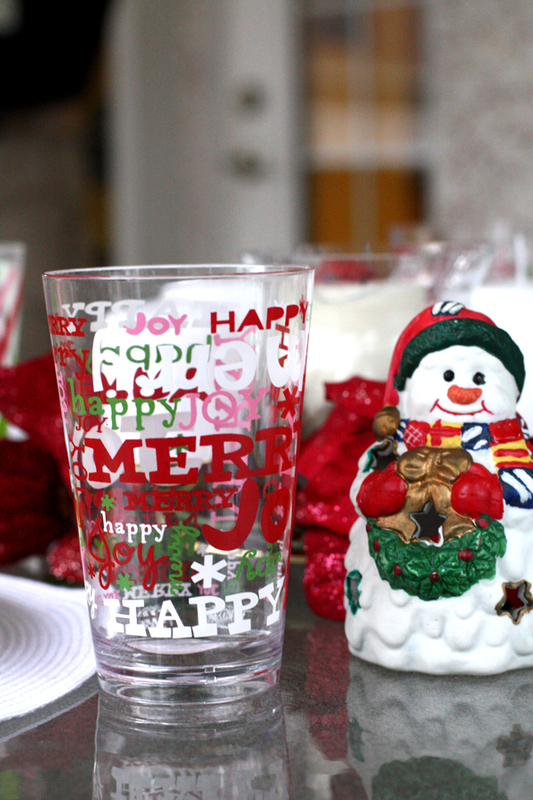 However, I have limited Christmas table decor. I spent $7 for some dessert plates and tumblers from Wal-greens and then pulled this together from what I had on hand. 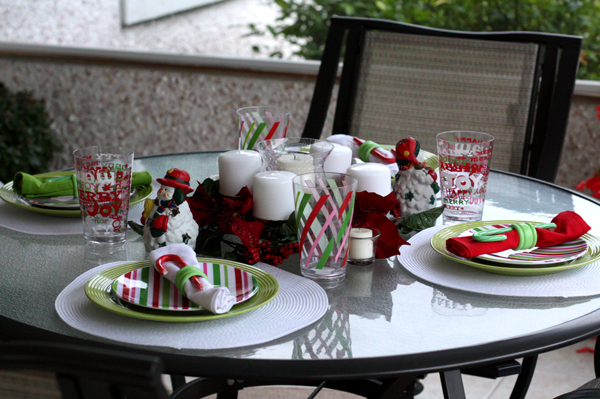 The green plates and white mats came from the Dollar Tree. 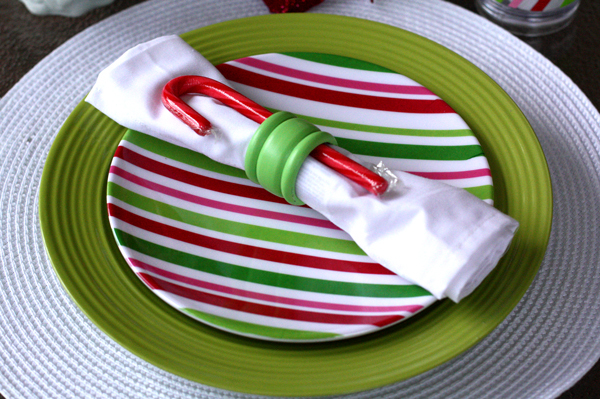 The plates and these green napkin rings were previously used at Easter. 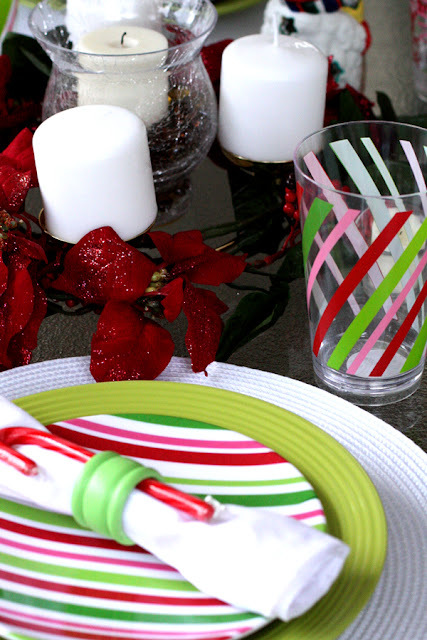 I stuck a candy cane in each one to make it a little more festive. I love the subway art tumblers. 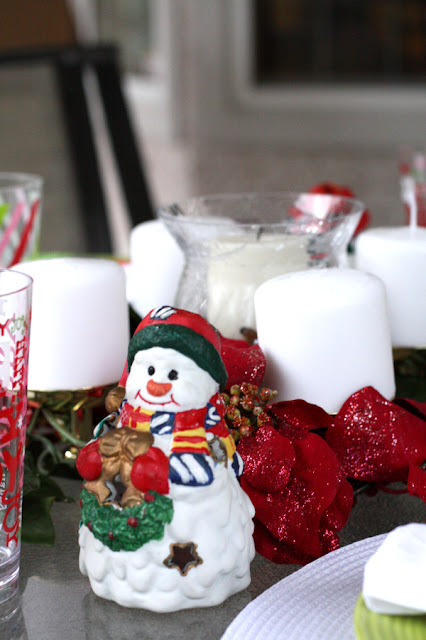 The snowmen votive holders are another inexpensive item from Fred's that I have had for years. The centerpiece is the same as my fall setting, just different garland and candles. I hope you all have a very Merry Christmas. 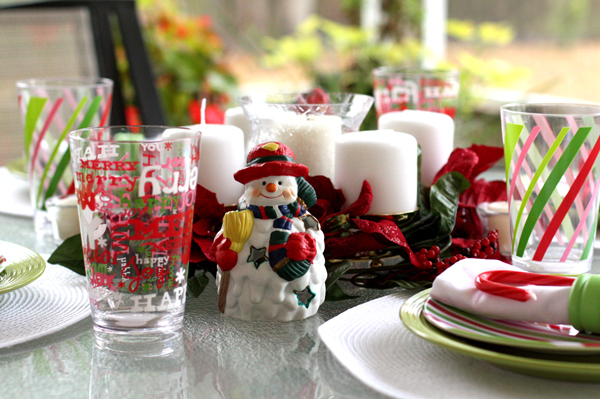 What a cute, festive table. I love the color combo...and those cherry candy canes!